Dogs love chewing on plastic retainers. I am convinced that all canines believe retainers should fit in their mouth since they fit so nicely in yours. However, this is just one of many ways you can lose your precious teeth-stabilizers. Maybe the dog got it, or after wrapping it up in a napkin at lunch time you never found it again. I have never lost mine literally, but if you saw my retainer, you’d say it was a lost cause. It has been 5 years since I got my braces off and I haven’t had a new retainer since. So, I hit up the dentist for a possible upgrade. When I approached my dad, Dr. Medina, about my retainer, all I wanted was a strong cleanser to help spiff up my disheveled retainer in any way. When he offered to make me a new one, it was a light-bulb moment. 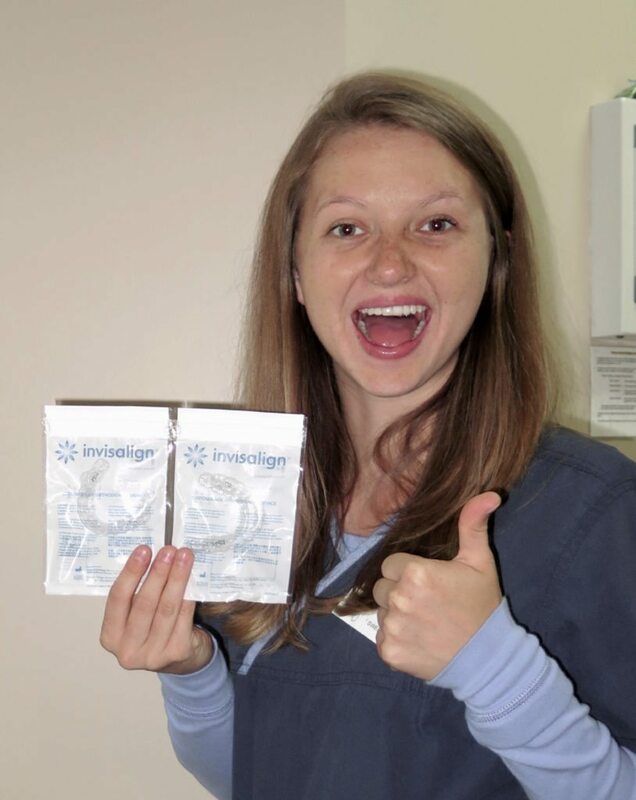 Invisalign isn’t just for those who need their teeth straightened – it’s also for those who want to keep their teeth straight. I head back to school in one week with my new retainers. I feel I am starting off the new school year with a bang. There is just something special about squeezing in a clear, tight, set of new retainers. It’s like welcoming home a long lost child you never knew you had. To those of you going to new places, starting new things, or maybe just feeling the need to give your teeth the structure they need, Seasons of Smiles Dental can help. Ask our office about the “pre-college tune-up” so that you too can get your smile ready for school. And if your dog really did find your retainer, we can even make you a replacement!